Delano is known for its strong sense of community. People in the community enjoy a high quality of life, great schools, and access to beautiful parks and trails. 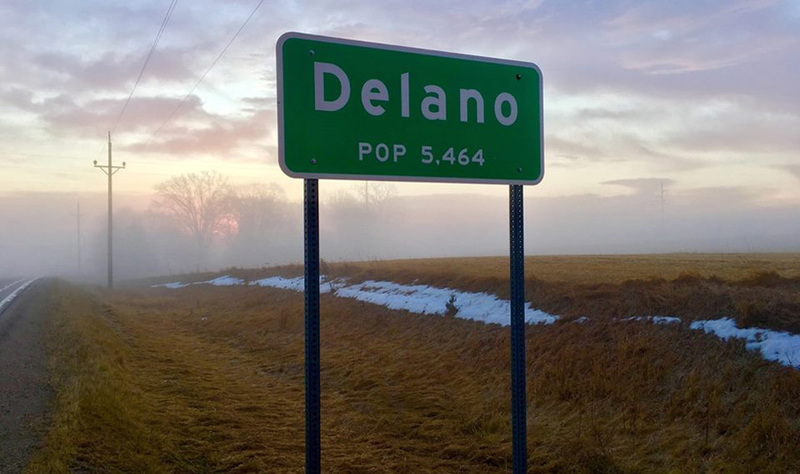 Find out why people like to call Delano home! Park and Recreation Commission will meet in a regular meeting. Follow the agenda for date and time. Spirit of Community Commission will meet in a regular meeting at Delano City Hall, 234 2nd Street North. City Council will meet in a regular meeting. Click on link above to view date, time and agenda items. The Planning Commission will meet in a regular meeting in April. Click on the agenda link for specific information. Immediate openings on the Water, Light and Power Commission. Click here for more information and to fill out an application! The City of Delano is requesting public comment on the following art application.